If you would like to make a donation to help with Camp Friendly Pines payment and supplies, please do so here. 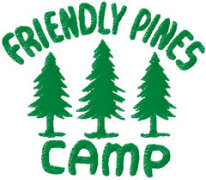 Please note: This is NOT the place to pay for your child’s Camp Friendly Pines fee. That is paid through the Activity Fee on the district website. A $1 convenience charge will be added to your purchase to offset the credit card fees.